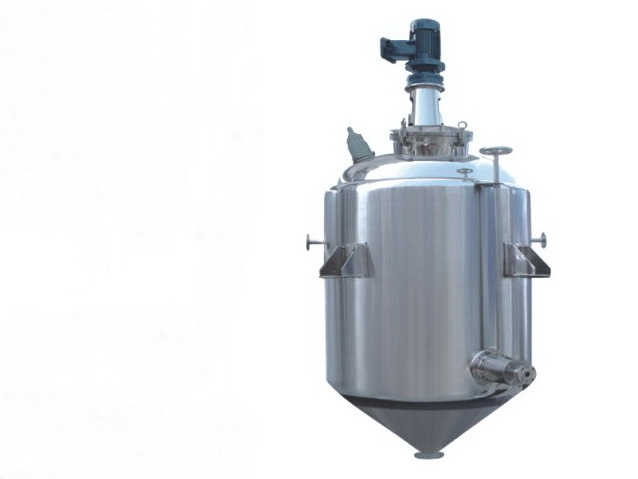 JC series alcohol deposition tank (Sedimentation tank) is suit for alcohol deposition in such industrials as China traditional drug, oral liquid, foodstuff , health product, chemistry. The alcohol deposition tank is a special device for alcohol deposition, also titled solvent change or alcohol bar. It is mainly used to freeze the solution from concentration of water-decocted China traditional drug or make alcohol deposition under normal temperature, also to execute the water deposition of the concentrated liquid after the alcohol desposition of China traditional drug. The device includes the ellipse seal head with clip sleeve, taped-shaped base of cylinder, inner-installed three-shaped millr and special finely-regulated revolve-out liquid pipe, etc. The mode for water-decocting and concentration of China traditional drug as follow: First fill the alcohol to fprm mixture, secondiy under low temperature freeze to make deposition to separate the soild from liquid to improve the purity and clearness of the extraction liquid of China tradition drug. The device is made with stainless steel of SUS304. The high pressure automatic spray & cleaning system is available to fill the low temperature of cooling water through the clip sleeve. The mechanical seal in the transmission part and the explosion-proof motor can ensure the security of the production process, meeting with GMP standard. The surface is treated with polish or surface polishing.